As many of you know, this one will come, he will be anti nothing,(so called anti-Christ) but will come shewing that he is God, in their Temple of God, as God and he must emulate all which Christ the King did, for this grand deception to be fully accomplished upon all mankind whose names are not written in the Lambs Book of Life. Many who profess Jesus, but cling to jewish fables will embrace this impostor. I do not pass up any propaganda, when it comes to Sanhedrin of Satan, their Moshiach, their Temple, the rituals, etc., for it is all prophesied by the Lord God of Heaven. Be advised and Be aware. Jesus is Christ the King of Kings and the Lord of Lords, the Lord God Almighty ! Rabbi Alon Anava, a proponent of educating people about the potential threat of Nibiru, said last week that the dwarf star some believe is poised to destroy two-thirds of the world’s population in anticipation of the End of Days is the cause of recent extreme weather events. 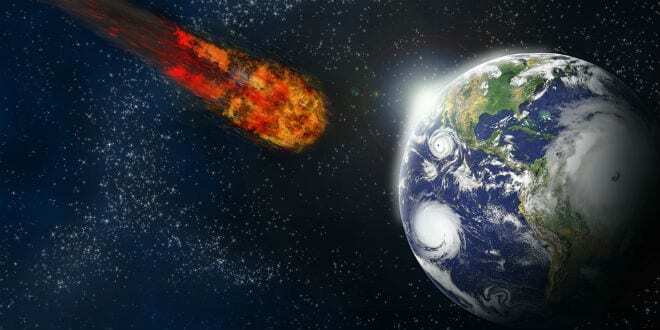 End of Days blogger Menachem Robinson told Breaking Israel News that Nibiru will “make its closest approach” to earth within the next few weeks. Following a recent lecture about the arrival of Moshiach (Messiah), Rabbi Anava ascribed the dramatic uptick in monsoons, tsunamis, earthquakes, volcanoes and other extreme weather events to the approach of Nibiru. Rabbi Alon Anava , Speaking of the already-felt impact of Nibiru, Rabbi Anava mentioned a case from several months ago when some space debris, supposedly from Nibiru, fell into the ocean 640 miles off the coast of Brazil. “They say it entered into the atmosphere at the speed of 46,000 miles per hour. Can you imagine? Crashed into the ocean [with] the impact of 12,000 tons of TNT. That’s the power of the bomb that was dropped into Hiroshima.”He ascribed a desire to avoid the damaging effects of Nibiru to the fact that the US government has moved the headquarters of major federal offices such as the U.S. Federal Reserve and the CIA to the center of the country. It’s clear that Rabbi Anava is speaking about Nibiru, even though he calls it Planet X. It’s a mistake many people make. But Nibiru and Planet X “are two different heavenly bodies completely, and are not even in the same solar system,” he emphasized. “I have no idea where the 10th planet is, but it is not the threat that we are facing now. Nibiru and its accompanying solar system is the system that will cause havoc to the world,” Robinson said. According to Rabbi Anava, Nibiru is merely one End of Days scenario that God could potentially implement. “It’s one of the surprises Hashem (their god wannabe) can pull out of His pocket. It might not do anything. There are clear prophecies talking about rocks of fire, but any bad prophecy can be reversed. HaKadosh Baruch Hu (The false Holy One, Blessed Be He) prepared it. “You know how HaKadosh Baruch Hu did the flood in the time of Noach (Noah)?” Rabbi Anava asked his audience. “He moved one of the planets a little bit. That caused the flood to happen. Jewish thinkers aren’t the only ones searching the skies. The two men also say that the Vatican has an interest in tracking Nibiru. “[T]he Vatican is interested in Nibiru as the star that will bring Moshiach (many places in the Bible, but especially the Star of Jacob mentioned [in Numbers 24:17]),” asserted Robinson. Rabbi Anava said that the Vatican began looking for Nibiru 500 years ago. The Vatican’s interest in astronomy is well-established. 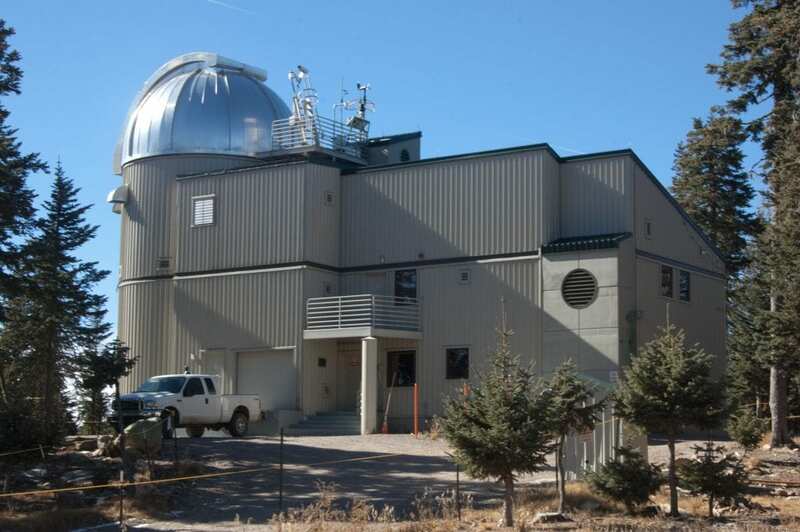 It supports an official Vatican Observatory, formerly located in Italy and now in partnership with the University of Arizona. How did the Vatican astronomers know to look for such a thing five centuries ago, before NASA and before advanced telescopes? Rabbi Anava claimed that they based their search on Jewish sources, including the Books of Ezekiel, Jeremiah and the Zohar (one of the most important books of Jewish mysticism) which mention a planet of fire coming before Moshiach. “It’s pointless to prepare physically,” Rabbi Anava advised. He told his listeners that the best course of action is to prepare spiritually, by learning Torah, doing acts of kindness, doing mitzvot (God’s commandments) and not worrying. Although, these prohets of baal have been setting their dates for years, the signs are here now for Satan’s great scam. KJV Matthew 12:38- Then certain of the scribes and of the Pharisees answered, saying, Master, we would see a sign from thee. Watch and Pray. Jesus will destroy this impostor with the Brightness of his coming! ← Mel Gibson, Are there any more Questions From the Shem Sham Shamers? A very illogical way to make an introduction, brought the below exchange. It is what it is. Very easy to detect non-contrite spirits. I understand Peter, However you are at the wrong blog for that argument. Not my message. Thanks. Who do you think is their antichrist if they say he is already here? Back in April 21-22 2016 conference in London Maitreya (was at it again)-She did say a member of a royal family and a Christian church bishop attended, along with various dignitaries and members of the intelligentsia. Craft added that the man, who claims to be the “World Teacher” — the Maitreya Bud­dha, the Messiah, the main Mahdi, or the Christ — present­ed his credentials and astounded some of the conference-goers by “appearing, then disappearing.” “He dematerialized in front of people,” she said. Asked why the so-called “his­toric conference” had not been reported in any prominent newspapers (by press time), Craft maintained that the timing of the release of the journalists’ stories was up to them. She said that of the 200 attending the conference with “Lord Maitreya,” about 50 were reporters. Just a tad of information and this nut job Maitreya is always talking about Tiny Sar Falling predictions of earthquakes – other snake oil salesman – but this Maitreya could be a ( prelude ) what do you think robertpickle? The one which stands in the jews false temple, shewing he is God as God, above anything worshipped of God (Jesus) is the one to watch for. Yes I’m keeping my eyes-ears and waiting to hear see a Jew in the temple. Yet there are none, zero, flat earther’s who can give you what the Lord has given me to share these last 18 years. If by chance the flat earth can be proven, which it cannot, it will be by this impostor coming , saying it is so for he “Created it”. I assure you Peter Lusk, many have come to sway me, it is impossible to sway me from Christ Jesus the Lord God Almighty. Beware. Neither can you prove your assertions, impossible for you to do so. Neither Can I but by faith in Christ Jesus. This Peter, is what I cling to. There are many sites who will welcome you and your verifiable proofs. See Google. As for us here, Jesus is Christ the King the Lord of Lords, God Almighty, the Alpha and Omega. Regardless of all proof, I stand fast in Faith which is unseen, alone. there are numerous verses in the bible that indicate the earth is not a globe. if you would like me to list them i will. i also live by faith and take the whole counsel of god. the globe earth is the stepchild of the big bang theory, is that what you believe in? i agree with most of your writing and admire your insight but you need to look into this. you are great in pointing out the liars but what are their lies. as the cia director said our mission is complete when everything people believe is a lie. 99% of the population believes the earth is a globe the great deception? Peter, I admit that prompted by John Mackenzie, I have watched almost everything Eric Dubay put out on You Tube, as well as man others. I do admit the curvature diameter drop “Horizon” cannot be resolved. I attempted to reconcile the reason for a third quarter moon in the sky at the same time a sun at 4-5 oclock. I have poured hundreds of hours into this. The Scripture is clear that God created the earth, then the rest, etc…the Book of Enoch is clear the earth is a plane. I believe this soon to be revealed “Son of perdition” will show the inhabitants this fact, and he will say “I created it” so bow and worship me. However this is not my message on this blog. If you would like to do an essay, please do and send to me robert@varidrill.com, i will post it. ed hendrie has a great book on it and he espouses many of the things you talk about regarding the jews. with the heliocentric model many things in the bible are hard to understand ie.opening the floodgates of heaven in genesis, the sun standing still in joshua hezekiahs sun dial ( what would happen if something moving at one thousand mph suddenly stopped,earth would be devastatedand people would most certainly lose their balance) pauls glory of the sun and another glory of the moon 1cor 15:41 or 2 tim 6 :20 so called science. in a geocentric model these things are easily understood. God sent lucifer to help mankindand he rebelled and decided he would rule mankind getting himsef kicked out of heaven. god chose israel giving them the oracles of god and they rebelled seeking to rule over mankind which is where we are today ie on earth as it is in heaven. Of course, I cannot agree. God, who is Jesus Christ the Creator, never sent Lucifer to “Help” Mankind. beware your fictitious X MEN deception. We must part here at this juncture now, for we will rival from hence. Go your way, do yourself a blog and depart from here, please. False Christ to be “Revealed” and folks worry is world is flat……………………………go figure……..
Christ. are you a big banger? You can comment all you desire. This does not mean that I am required by force to believe as you believe. If I disagree with someone, how can that translate to a spirit of Joy or the lack of? I have no doctrine. Trust that I get warned by many all of the time, yet I stand Fast and Firm. When you have definitive proof that the earth is flat, please share it with us. Also, Peter, i NEVER censor, I simply delete useless drivel, sorry. So teach us, Peter Lusk. Please share the scripture where the Creator sent Lucifer to “Help Mankind”. Also, I have pointed out scriptural teaching on the creation of the earth. By science or by personal observation I cannot prove or disprove, can you? So then what is the argument? Peter Lusk, I also have a KJV Bible. Thank you, you have given me nothing but contention on this blog. Also, I thought you were departing? Peter Lusk, Lucifer is a created being and not the Creator which hath created everything which is created. Lucifer is only a fallen cherub. Jesus Christ is King and Lord God, the Only Savior, ever. Peter Lusk, do you have anything at all to contribute here on this Blog? Peter Lusk, you have become a total distraction and rabble rouser. I ask you to go visit blogs or sites which suit your ilk. The Flat Earth Society should be your Target of antagonization. Thank you for your visit. Be sure to advise them that Lucifer was sent to help mankind. Hey, I see I received an honorary mention in the comments. Flat Earth will play its part, as Robert alluded to, but as he pointed out to you Peter, he feels his calling is to ring the alarm bell more towards the antics of the Sanhedrin and company. Not knowing that the earth is flat probably wont be a gate locker at Heaven. Worshiping the same god as the Jews probably will weld those gates shut. Plus, so many sheep are at a level 5 CIA indoctrination (brainwashing wise) that an intervention of truth about flat earth would probably be dangerous to them. At the very least, their palsy would rise up, starting with their left eye twitching uncontrollably. Licking the bus windows and peeing themselves would surly follow. John, I think your comedic response is wasted…this guy has been long gone, rightly so. I have tendency to run the Vipers off. I believe I have been enlightened. Have we not evolved in faith? The Lord never stops teaching those whom have ears to hear, eyes descaled, and who’s hearts and minds desire to know the truth. Faith grows and evolves with the above. 19 All that OPENETH THE MATRIX is mine; …..